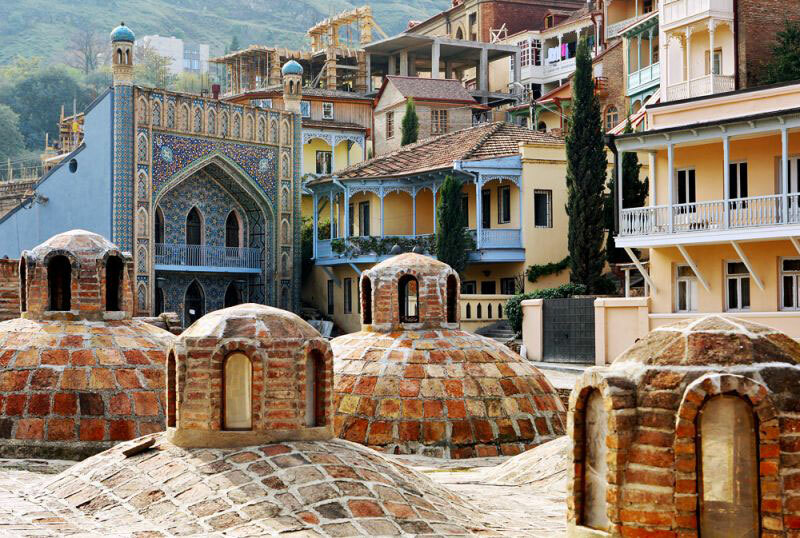 Abanotubani is a unique region of sulfur baths in the center of Tbilisi. Here you can see neat domes almost at ground level and, most importantly, try the healing effects of natural sulfur sources. The first baths appeared here in the 16th century, however, according to legend, the city itself owes its origin to sources (“tbili” in Georgian “warm”, as well as sources).